A miniature copper, 'savarin' mould. This shape of mould was named after the famous, nineteenth century French gastronome Jean Anthelme Brilliant Savarin and it dates from c.1890. The mould is fairly simple in shape, turning out a small circular ring with a hollow centre. 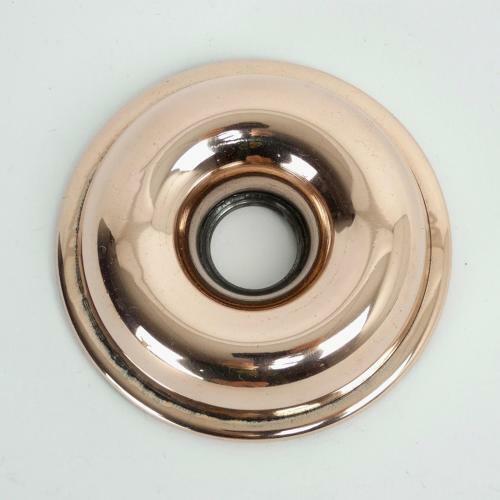 It is made from a reasonably substantial gauge of copper for its size. It is in good condition but the tinning, to the interior, is slightly worn.